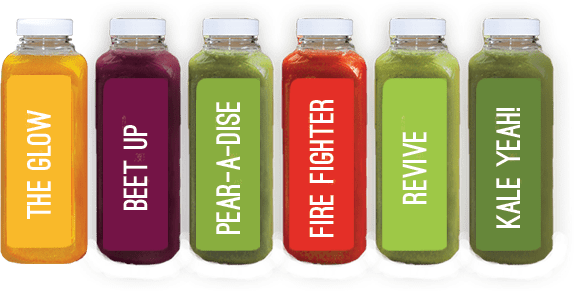 Kale Me Crazy recommends our 3-Day Juice Cleanse for all seasons. This option packs an excellent combination of fruit based juices and green juices to start your cleanse off in the right direction. Kale Me Crazy makes cleansing delicious and convenient for your mood and schedule whether you’re a first-timer or juicing veteran. Want more options? We’ll work with you to find the perfect fit. Cleanse packages must be ordered at least 24 hours in advance. Please call your nearest Kale Me Crazy location for more information!